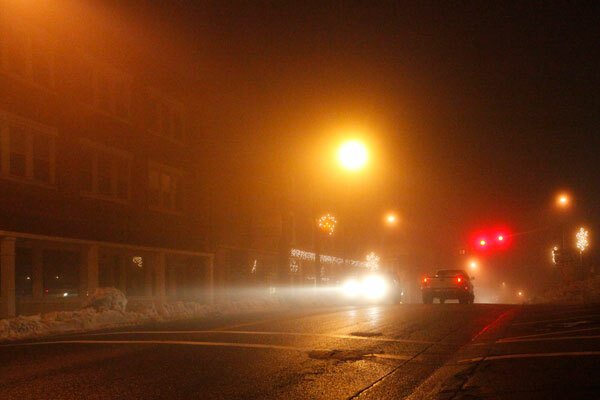 Floyd welcomes 2010 in a fog: A sign for the future? The year ends. The decade ends. It goes out not with a bang but with a whimper, shrouded in fog, damp from the mist, cloaked in an uncertain future. For many, the end of the year is a blessing. The past 12 months were not kind: recession, unemployment, uncertainty, despair. The decade began with so much hope — an America buoyed by a robust economy, relative peace in the world and hope for the coming year. Peace came to a jarring end 22 months and 11 days later when terrorists seized control of four passenger jets, crashing three of them into the World Trade Center towers and the Pentagon. A fourth augured into a field after passengers stormed the cockpit preventing a crash into either the White House or the Capitol. War followed: First, Afghanistan, then Iraq. As the decade ends we remain mired in both countries and the conflicts have — to date — killed more Americans than that fateful day on September 11, 2001. Like the planes on 9/11, the economy crashed later in the decade, plunging the world into the greatest recession since the great depression. Banks failed, businesses closed and millions of Americans lost their homes in foreclosure. America started the first decade with low unemployment and ended it in double digits. Still, with all that has happened, Americans face the future with a mixture of tempered reality and caution optimism. The bank account is thin, but the future looks pretty good. That, oddly enough, is the view of many Americans who predict 2010 will be a better year than this one, even if they fear that the U.S. economy and their own financial circumstances won’t improve. A whopping 82 percent are optimistic about what the new year will bring for their families, according to the latest AP-GfK poll. That sunny outlook seems at odds with other findings. Nearly two-thirds think their family finances will worsen or stay about the same next year. And fewer than half think the nation’s economy will improve in 2010, even though Americans rated 2009 as a huge downer. That is the American way. Even when times are bad, we find reason for hope. We must, and we will. rise above the current crisis but we must emerge a leaner, more realistic America — one more attuned to sustainability and less reliant on conspicuous consumerism. Good bye 2009. Hello 2010. We’re so glad you’re here.